Living in the City Of Sails, we’re pretty spoilt when it comes to eateries and cafes that not only offer premium quality food but also stunning views our waterfront. We’re all guilty of letting Waiheke Island slip our minds and it’s time we show the island some well-deserved appreciation! Waiheke Island is well-known for being one of the best islands in the world due to their pristine beaches and—of course—world-class wineries and vineyards. Wineries are a field that Waiheke have got down pat and it’d be criminal to leave the island without having visited at least one. Without further ado, here’s our list of the best Waiheke wineries. If you’re a sucker for a wine and dine session with a view, Cable Bay Vineyard is where you should be. This winery will not let you forget that you’re in an island of paradise as it’s located on top of the hills and overlooks the clear blue water and lush greenery. Cable Bay has an impressive wine menu (as they should) but doesn’t fall short when it comes to food either. Offering an elegant menu inspired by Mediterranean cuisine, Cable Bay take sharing plates, platters and grazing boards to a whole new level. Nestled in the vines and offering panoramic views, Mudbrick Vineyard & Restaurant is the ideal destination for a long lunch, wine tasting or even a walk in their gorgeous gardens. Almost 20 years have gone by since they first opened and Mudbrick has grown into a Waiheke empire. 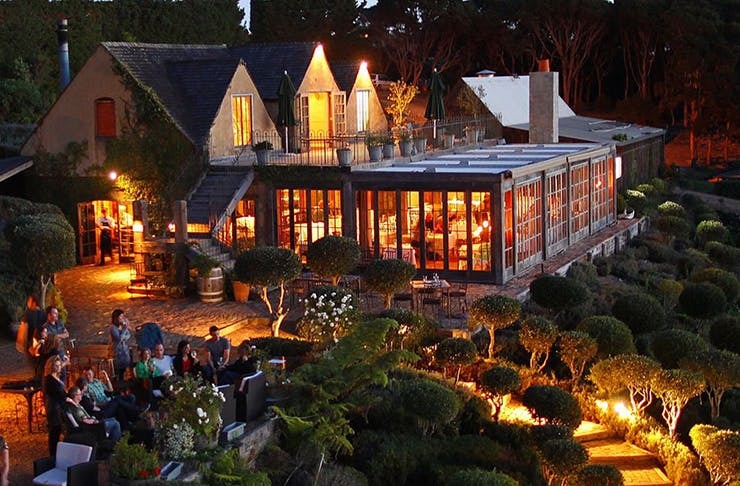 Not only do they have a restaurant with an impressive degustation menu and Mudbrick wine, they also offer accommodation and is also commonly used as a wedding venue—it’s that beautiful! We at The Urban List take wine and food very seriously at a very high but equal level. Casita Miro offers premium Bond Estate wine and the most delicious food that’s inspired from the kitchens of Spain. Their fiesta menu consists of a four-course dining experience which includes paella, croquetas and more. You may not get views of the ocean but that doesn’t mean Casita Miro doesn’t offer any other forms of scenery. Situated amongst the green, lush forestry, you’ll feel as though you’re in a hidden and luxurious retreat as you overlook the vineyard. Only a 25-minute drive from the Kennedy Point wharf, you’ll find a vineyard and fine dining Italian restaurant called Poderi Crisci. With a Tuscan style setting and overlooking rolling hills and picture-perfect gardens, wines being produced and bottled on site, Poderi Crisci has made a name for itself as one of the best wineries in Waiheke. Not sure about you all but when we think wine, our stomachs demand Italian cuisine. We’re talking antipasto boards with premium cheese and finely cut meats and of course, pasta and Poderi Crisci has it all. Not all experiences at a Waiheke winery have to be upscale and bougie! Wild On Waiheke offers a much more casual and relaxed vibe but don’t let that impact the quality of their wine, food and service. The home to Waiheke Island Brewery and Wild Estate Vineyard there's a huge outdoor garden for you to soak up some sun. Wild On Waiheke’s laid-back atmosphere makes it a perfect setting for enjoying a nice glass of wine and also a refreshing pint of beer. Enjoy your beverage with one of their gourmet pizzas, a true match made in heaven! The home of Te Motu wines is The Shed and it offers a menu that has been designed to pair perfectly with their iconic wines. The semi-rustic ambience and vineyard surroundings don’t let you forget that you’re on a little rural retreat. The food menu only uses the best and freshest ingredients and produce. Some of their most popular dishes are the lamb shoulder, chicken liver pate. And, for dessert, the coconut tapioca with feijoa is to die for. A marriage of a casual setting and million dollar views, that perfect balance between laid-back and luxury is what Batch Winery has in store for us. Previously known as Thomas’s Bach, what makes this winery a little bit different to the rest is that they also offer a high tea experience which comes with pairings of wine to elevate the flavours and experience. We are aware that this is a round-up of wineries but it would be wrong of us to not give their smashed pavlova a special mention—truly a must have! If you’re visiting Waiheke Island, a visit to Peacock Sky Vineyard Restaurant’s tasting room is something to get on board with. They have a degustation style wine tasting experience where each glass of wine is accompanied with a sample sized portions of chef-inspired dishes. The experience is elevated as you get a host to talk you through the whole process so your appreciation for wine can reach all new heights. Situated in the heart of Onetangi Valley is Tantalus Estate, a winery that hasn’t been around for as long as the other wineries in Waiheke but is definitely not falling behind. 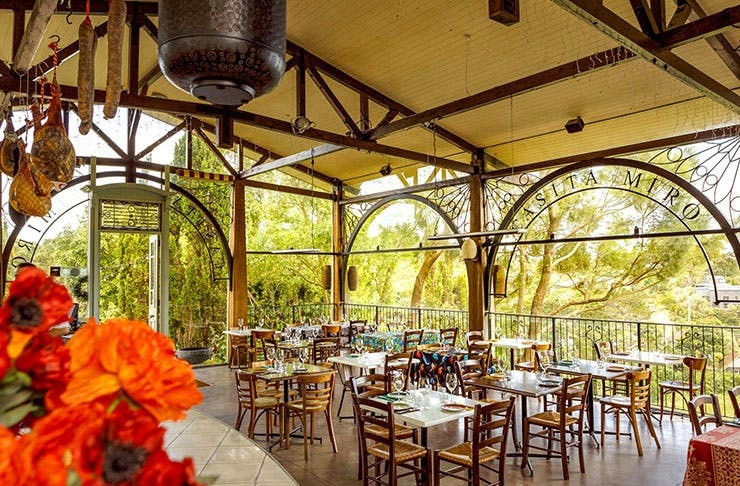 With scenic views of their vineyard and innovative menu, you really can't complain while you wine and dine here. We’re talking innovative as in a salted caramel pork belly which sounds weird but trust us, take the risk and thank us later. If you want something a little more familiar, hop on to their truffle fries!